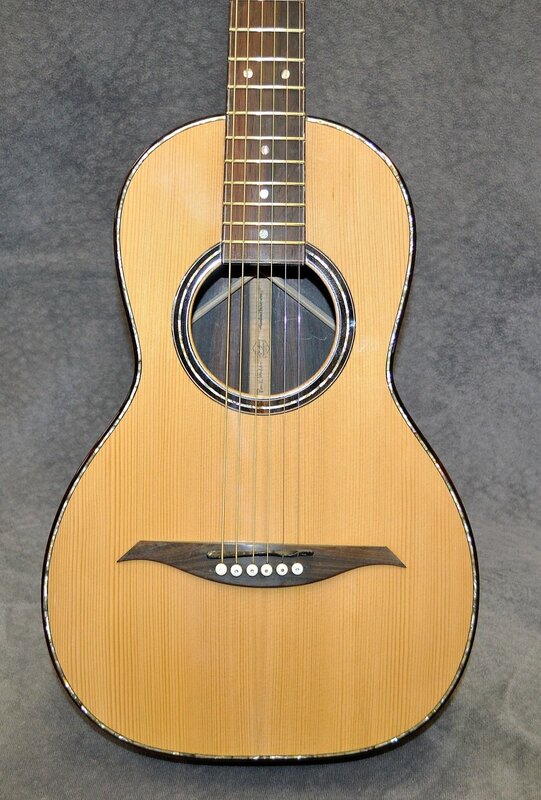 The H-PG (parlor guitar) has a body shape based on a 1904 Martin Parlor model (the one in the pictures). Beyond shape, it is all Hawkins guitar from there. If playing the blues is your passion then this louder than usual small size six string ax may be the right match for you. 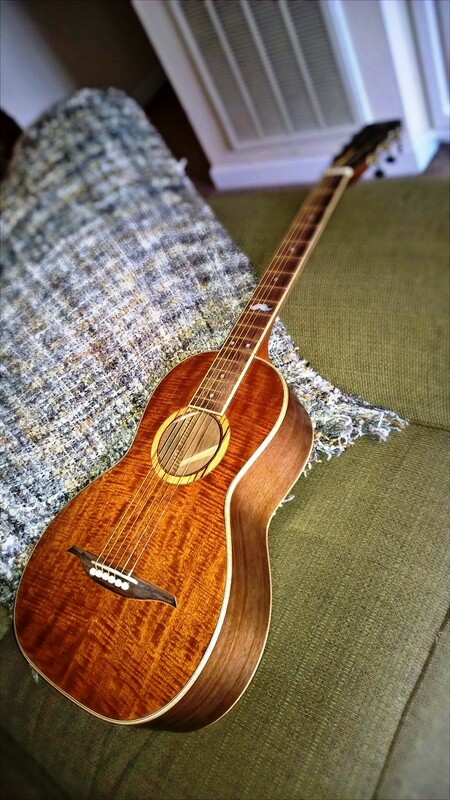 This spectacular Hawkins Parlor Guitar was built from reclaimed wood, most of which is well over 200 years old. 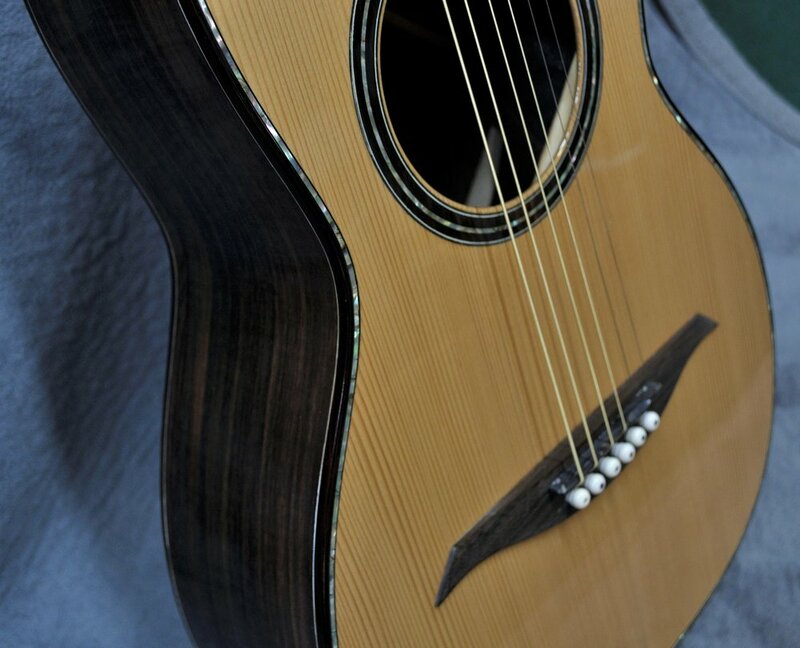 The back and sides are Brazilian Rosewood that came from a home that stood for more than 200 years in Brazil while the Adirondack Spruce top came from a beam that held up a feed mill factory (in New York City) that was demolished in 1904 - 1905. The 60 yr. old Honduras Mahogany neck came from the bar top of a demolished Daryl's restaurant in Norfolk Virginia. The interior bracing is from the same stock as the top.